Becky Mastin, native from State College, Pennsylvania, is a multiform dancer with additional training in jazz, ballet, and modern. 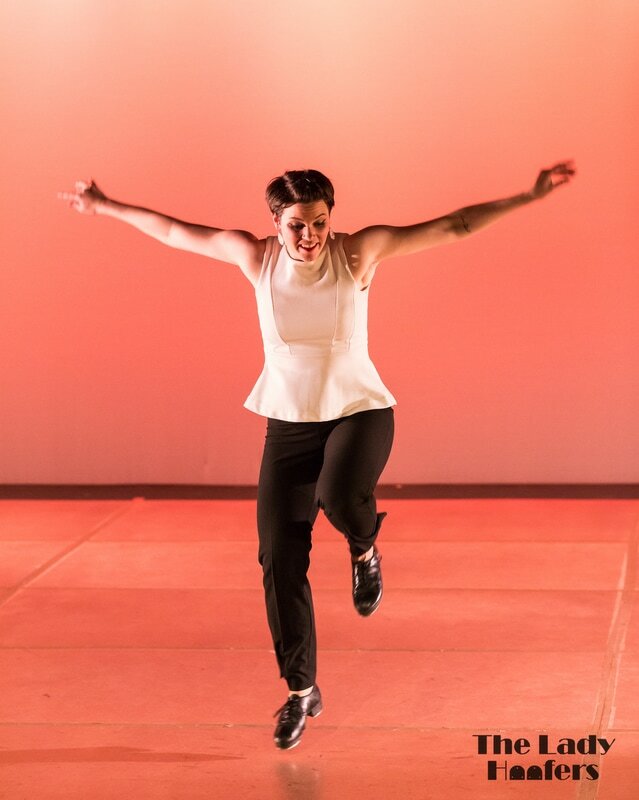 Becky studied at the Central Pennsylvania Dance Workshop, and under Sarah Mason at the Pennsylvania Academy of the Arts. She has been a member of the Fraser Street Dancers, Crunch! Productions, and Jade Dance Project. Becky has taken master classes and workshops with a broad range of artists, including Dianne Walker, Jimmy Slyde, Jason Samuels Smith, Roxanne Butterfly, and Heather Cornell. In Philadelphia, Becky has appeared in Too Darn Hot, a Philadelphia Fringe production, and Cross-Rhythms - An Evening of Tap Dance. She teaches students of all levels and ages throughout the Philadelphia area and is available for private lessons. Becky was a First Company Dancer, Rehearsal Assistant, and Choreographer for The Lady Hoofers from it's founding in 2011 until 2016. She continues to choreograph for the ensemble and performs occasionally as a guest artist.